As I began to read ‘My Father’s Head’, I thought for a moment that it was going to be yet another Caine Prize story set in church and about cunning priests and their gullible as well as crafty worshipers like last year’s winning story, ‘Miracle’, by Tope Folarin. That thought was, however, cut short when I realised that Fr. Ignatius, who comes to the old people’s home where the narrator works, is not in this story to preach morality or to expose religious fallacies. 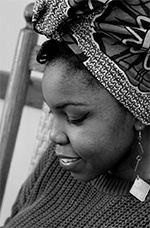 Okwiri Oduor has creatively used the figure of the priest in this story as a trigger that prompts the narrator’s journey to search for her father’s head. This short story presents a recollection of painful, repressed memory. Memory that is so deeply hidden that it takes a lot of skill and patience for the events that led to the loss to come to the surface. In ‘My Father’s Head’, Oduor manages to bring out, in beautiful prose poetry, the different tensions that are characterised by loss and memory. The narrator is a lonely young woman working in an old people’s home. She has been away from home for a long time and is silently mourning the death of her father. Most of the people she relates with in the story are presented as faceless, nameless people. The reader only gets to know them by descriptions such as “the woman who hawked candy in the Stagecoach bus”, “the man whose one-roomed house was a kindergarten in the daytime and a brothel in the evening”, or “the woman whose illicit brew had blinded five”. It therefore comes as no surprise when the reader learns that no matter how hard she tries, the narrator cannot remember the shape of her father’s head. It is after meeting the priest from Kitgum that she eventually gains enough courage to summon the image of her father from where it has been buried deep in her memory. The best way the narrator knows how to do this is by drawing, and yet no matter how hard she tries “his head refused to appear within the borders of the paper”. The picture of her father therefore remains unfinished for a long time because it has no head – only a face. Oduor uses the headless drawing of the father figure as a powerful image for the incompleteness of memory in the recreation of the past and history. Even after she recreates his head, she still admits its inadequacies acknowledging that “in the end, he was a marionette and my memories of him were only scenes in a theatrical display”. In this way, Oduor manages to write about several ills that continue to ravage the continent without necessarily fetishizing these issues. By recreating the memory of her father, the narrator remembers “the famine undulating deeper into the Horn of Africa” and through the old man at the old people’s home, the violent events of the 1998 bomb blast in Nairobi are recalled without necessarily painting the violence in graphic colours. However, as the story moves towards the recalling of her father from the dead, one aspect that stands out in the narration is the vivid and constant description of food. Food colours the whole story and the earthy taste of roasted groundnuts, the warm street-roasted maize and the aromas of cinnamon flavoured tea, sour lentils and okra soup rise from the paragraphs, culminating in the detailed description of the father’s body after he was flattened by a cane tractor. The narrator says that her father’s people called to report the death “with a measured delicacy: how his legs were strewn across the road, sticky and shiny with fresh tar, and how one foot remained inside his tyre sandal, pounding the pedal of his bicycle, and how cane juice filled his mouth and soaked the collar of his polyester shirt”. 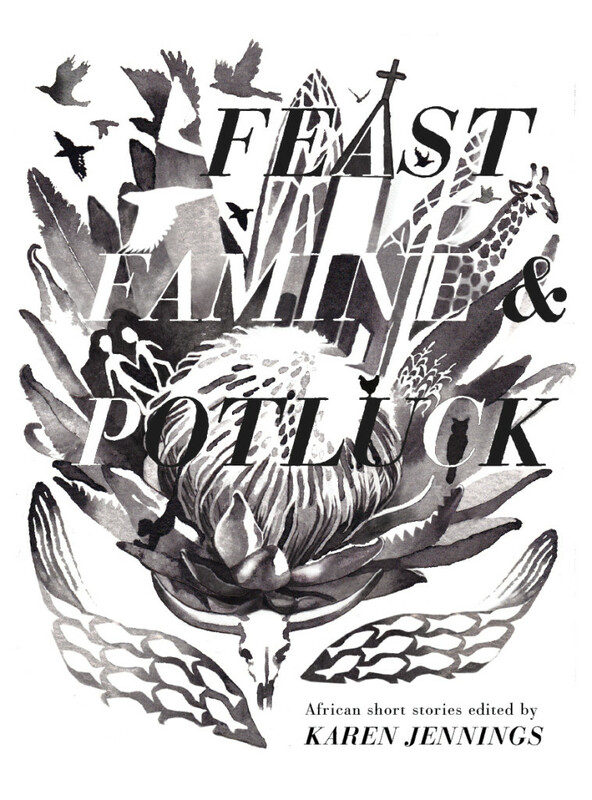 For me it feels important to look at this story, and its constant description of food, in relation to its publication in the South African anthology Feast, Famine and Potluck. This anthology was published following a 2013 call by Short Story Day Africa (SSDA) for writers to send in short stories that explored the concept of food under the overarching idea of feast, famine and potluck. Interestingly, two of the short stories that were longlisted for the SSDA competition were later shortlisted for the Caine Prize: Oduor’s ‘My Father’s Head’ and Efemia Chela’s ‘Chicken’. While there may be restrictions of a literary authenticating institution like the SSDA asking writers to fulfil a certain brief, I feel that Oduor effectively manages to marry her creative ideas to fit within the requirements of this literary prize or competition. Despite that, I am also of the opinion that, in an effort to put food at the centre of the story, some of these descriptions end up becoming unnecessary for the story’s development. The constant description of food contributes, instead, to a clouding of the main narrative. I want to argue that to some extent, this style leads to the fragmentation of a beautiful short story and more work might be needed to make it gel together like the mixture of “cassava flour and bubbling water” that the narrator and her colleague cook at the old people’s home. Read next week’s story, Tendai Huchu’s ‘Intervention’, HERE.